Deputy Defense Minister says US Secretary of State John Kerry's ideas fit Meretz's platform, but Likud is a different story. Deputy Defense Minister Danny Danon shot down on Sunday the idea that Israel might buckle under the pressure being exerted by US Secretary of State John Kerry, and accept the conditions of his peace plans. “We cannot negotiate with the Palestinians when Secretary Kerry is pressuring Israel, threatening Israel, that we must sign the deal 'today, now.' That is not the way to support an ally. 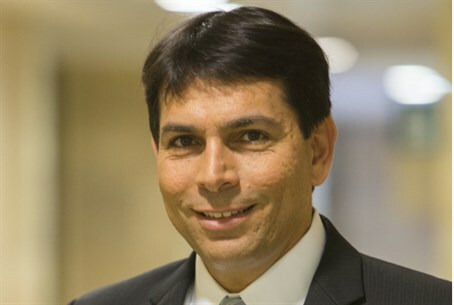 That is not the way to support Israel,” Danon insisted, in an interview to Arutz Sheva at the JNF event in Paris.